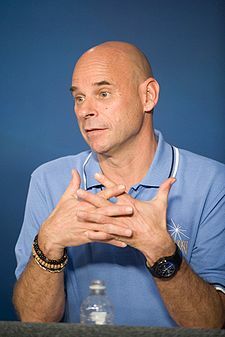 Since the retirement of the Space Shuttle in July 2011, America has been unable to put any astronauts into orbit around the Earth. Instead, it has been in the difficult situation of having to rely on the Russian Soyuz spacecraft to ferry astronauts to and from the International Space Station (ISS). This situation may change in 2019; later this year there are two missions tentatively planned to take astronauts to the ISS on American spacecraft. 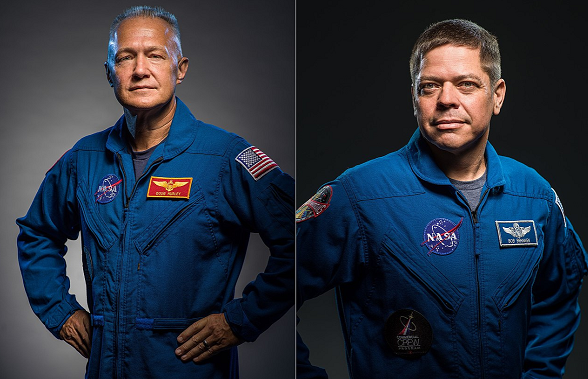 NASA astronauts Doug Hurley and Bob Behnken who in June 2019 are planned to become the first astronauts since July 2011 to go into orbit on a American spacecraft – image from NASA. Interestingly, as a result of a change in space policy by the Obama administration nine years ago, and continued under Donald Trump, both these missions will be in spacecraft designed and built by private companies, rather than NASA. 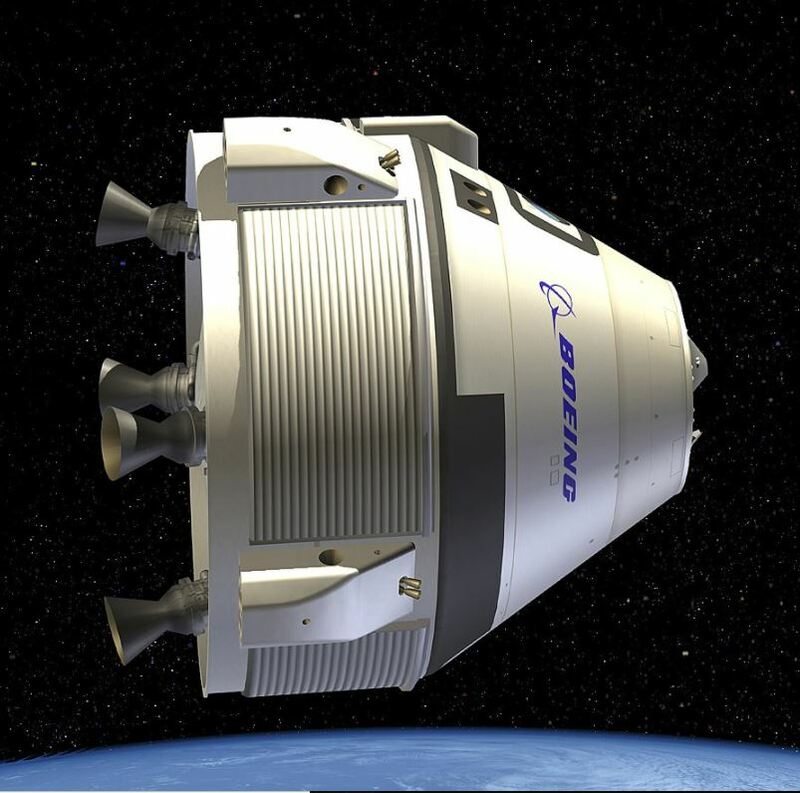 The Boeing CT-100 Starliner Space Capsule – image from NASA. In 2019 this spacecraft may take astronauts to and from the ISS. Space X – A company set up by Elon Musk, the co-founder of Paypal. They were given a contract worth up to $2.6 billion to transport astronauts on their Dragon 2 – pictured below. For more details see NASA (2014). When the final decision was made it was anticipated that the winning companies would be able to launch manned missions to the ISS by 2017. However, there have been numerous delays in the development of both spacecraft and the launch dates have slipped. 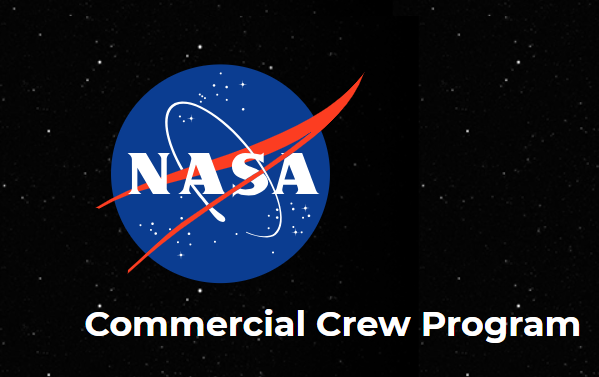 According to the current launch schedule (https://www.nasa.gov/launchschedule/ ), the target dates for unmanned test flights of the spacecraft are 23 February 2019 for the Dragon 2 and an unspecified date in March 2019 for the CT100. 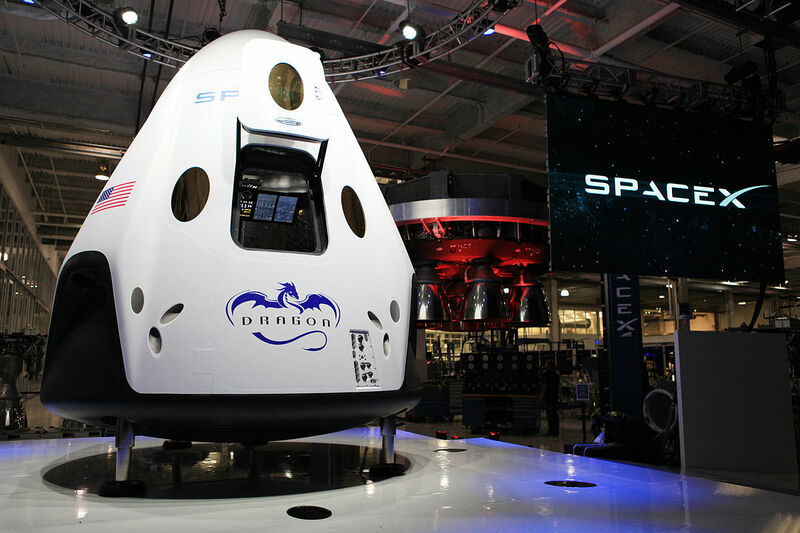 If there are no further delays and these test flights do take place and are successful, then in June 2019 the Dragon 2 spacecraft with Doug Hurley and Bob Behnken aboard will be the first American spacecraft to carry astronauts into orbit since the retirement of the Space Shuttle. This will be followed by the CT100 two months later. The contract terms are that both companies will charge NASA around $60 million for each astronaut on a flight to the ISS. This is slightly cheaper than the amount it pays to the Russian space agency. The real boost is that rather than the money going to the Russian space agency, it will go to American companies, boosting American high technology industries and creating American jobs. Once they have fulfilled their contractual commitments to NASA, both companies are free to sell additional spare capacity to space tourists willing to spend around $60 million dollars for a flight into orbit. Even at this extremely high price tag there would a high demand among the super rich. In fact, between 2001 and 2009 seven individuals paid up to $40 million for a trip into orbit on a Soyuz rocket. After 2009 space was tourism was halted , as the Russians had no spare capacity for this type of flight. Even though NASA is now commissioning private companies to transport astronauts into low Earth orbit, it has not abandoned developing its own manned spacecraft altogether. It is currently developing the Orion spacecraft and a new launcher called the Space Launch System. In around 2023 to 2025 the spacecraft is expected to take its first crew into orbit around the Earth, and it will have the capability take a crew of up to four beyond low Earth orbit, perhaps on a mission around the Moon or to a nearby asteroid. NASA (2014) NASA chooses American companies to transport U.S. astronauts to International Space Station, Available at: https://www.nasa.gov/press/2014/september/nasa-chooses-american-companies-to-transport-us-astronauts-to-international (Accessed: 1 February 2019). The White House (2010) Remarks by the president on space exploration in the 21st century, Available at: https://www.nasa.gov/news/media/trans/obama_ksc_trans.html(Accessed: 1 February 2019). $40 million for a 11 day trip into space sounds like better value for money than Virgin’s $250,000 for 6 minutes of weightlessness. Yes it does to me as well. The costs in $ per minute in space are certainly a lot lot lower!